Set against the backdrop of 2016 and perhaps the most contentious election in recent history filled with vulgarities and dirt almost never before seen, I visited the Ronald Reagan Library and Museum in Simi Valley, California, yesterday. What a change. I think everyone needs to get in touch with how American politics used to be. When Reagan was elected, the Republicans did not control the House of Representatives--but the country still got things done. 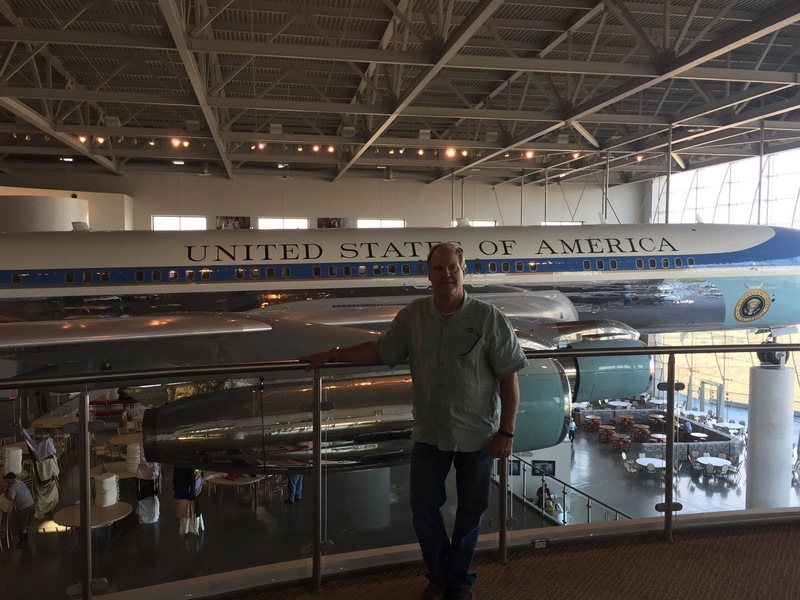 There was a dedication to America and the country and less to partisan politics. Ronald Reagan had a vision for America--and it was a positive vision for the future. I saw a video of a Presidential Debate and the the words were firm but polite. Our current brand of politics have become thuggish. Where the 80's the good old days? Certainly not! 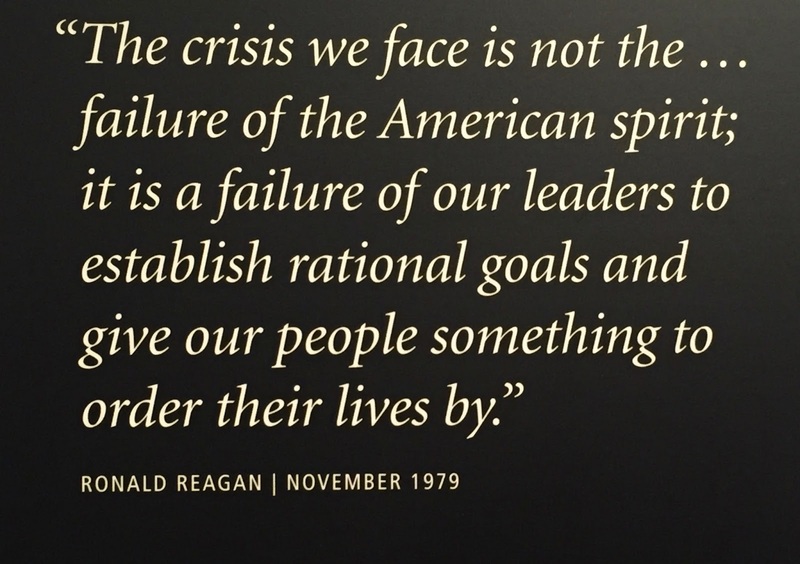 Reagan took office facing out of control gas prices and double digit inflation. I remember the interest rate of the first house that Chris and I bought was 11.75 percent!! 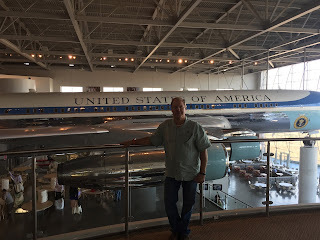 The election of 1980 was not an election where the choice was the lesser of two evils, but rather it was a choice between two visions for America. The election was not filled with personal attacks, but rather it was defined by laying out a path for the future. I cringe at the thought of the future right now. I wonder if either of our candidates has any vision for America's future other than becoming our next President. 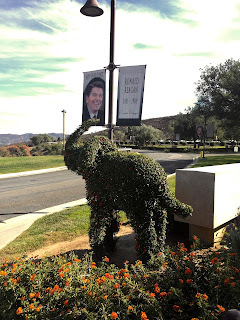 Visiting the Reagan Library and Museum was almost a religious experience. I truly came into adulthood during the 80's and I grew up immersed in the issues facing America at that time. 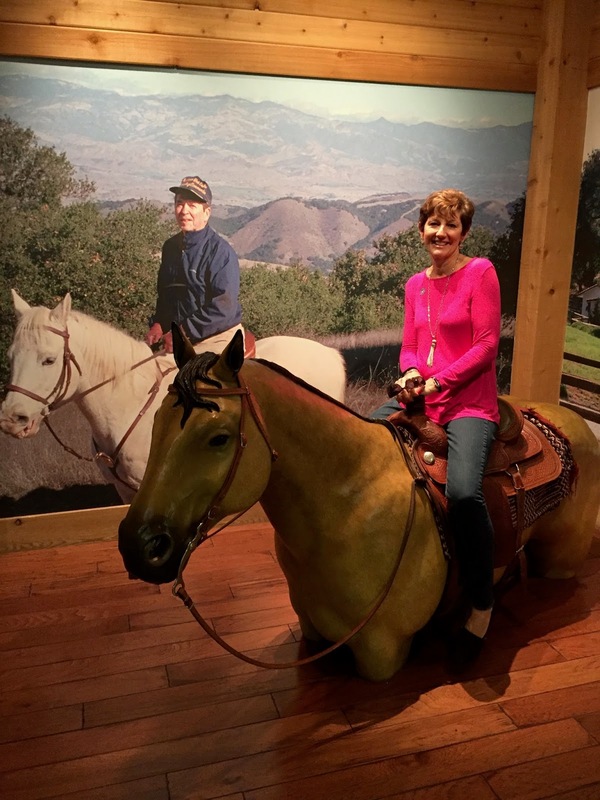 I remember how President Reagan took America by the reins and changed direction--not with words, but by actions. In his State of the Union address during January 1984, President Reagan said, "America is too great for small dreams." We are faced, during this election it seems, with flawed and small dreams for America. We are faced with the vilest form of partisanism. Who is offering a choice and a vision for America and for everyone and not just select groups? "I know our people will not fail America. They never have. 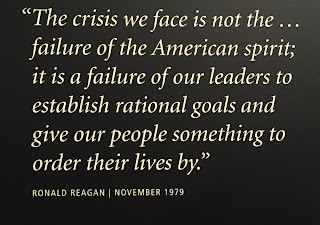 Our task is to be sure our leaders do not fail the American people."